Our goal at City Dermatology and Laser is to provide the busy professional with the highest quality skin care, with as little disruption from work as possible. Appointments are available starting at 7:30 AM and through lunchtime for your convenience. 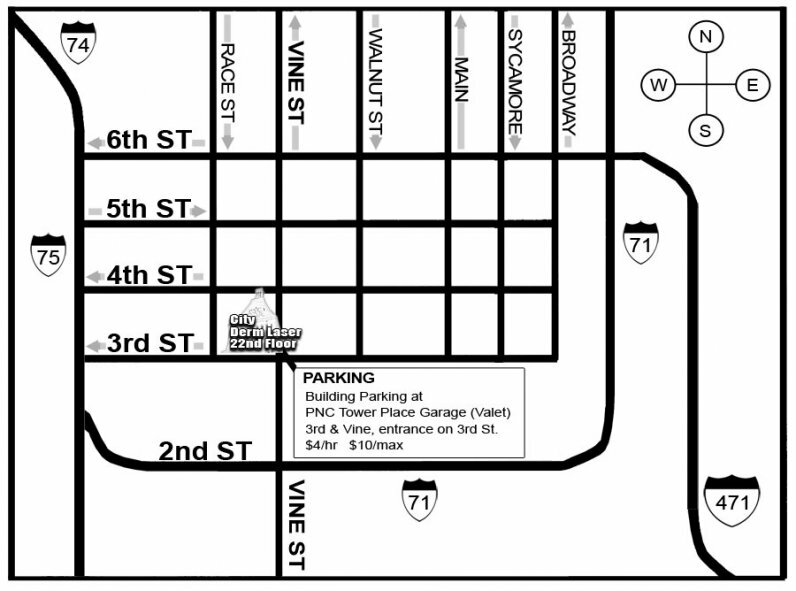 Valet parking is available at the buildings 3rd St entrance. Dr. Long has a special interest in laser treatments and other minimally invasive in office cosmetic procedures. She values patient safety and provides patients with scientifically proven treatments to keep them looking their best. Dr. Long performs the treatments herself, and does not employ nurse practitioners or physician assistants in her office. The goal for her cosmetic patients is to restore their skin back to its natural best and maintain it with sun protection and topical agents. In office procedures, such as lasers, Botox, and filling agents help to soften the signs of aging with little down time. People who have these procedures often notice that they look healthier and more rested. Our staff values your time and works hard to see patients in a timely fashion to make sure that you have a pleasant and positive experience.